The Centre is situated in the village of Charmouth on the West Dorset coast near Lyme Regis. It is right on the beach front in the first floor of an old stone building which used to be a cement works.The Centre has stairs to the main entrance and wheel chair/ramp access at the rear. 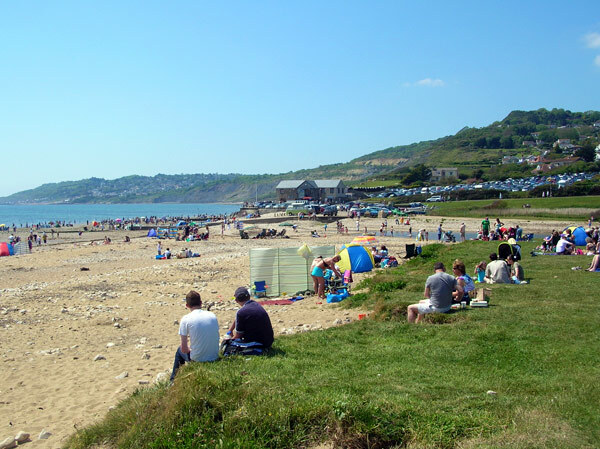 Charmouth Beach has a mix of sand and pebbles and the sea is clean and safe for swimming making it ideal for families. There are also grassy picnic areas with picnic benches, a sloping area on the cliff top behind the Centre which has ramp access and another level area on the east side of the river over a footbridge. Ample car parking is available nearby. There is a small tarmac pay and display car park directly in front of the Centre. 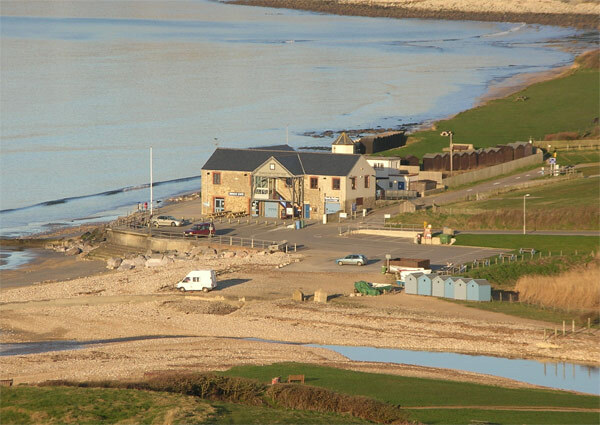 There are also two privately owned car parks which are open during peak periods and are a short walk from the beach area. Coaches are not permitted in these car parks. Coaches can park in the West Dorset District Council car park situated on Lower Sea Lane about 500m from the Centre. The coach park is on a slight hill and the pavement to the Centre is level. These are cash only car parks and unfortunately the Centre does not give change. There are (accessible) public toilets in a separate building at the rear of the Centre.There is also a disabled toilet. Both the Centre and the Beach Superintendent’s Office hold a Radar key for the disabled toilet. On the ground floor of the building the Beach Café serves hot and cold food and drinks and has indoor and outdoor seating. It is open from Easter to October and also during the February half term. Charmouth Fossils, just below the Centre, has a range of fossils, gemstones and crystals for sale. Please see www.charmouthfossils.com for more details. The centre of Charmouth village is about 700m (level pavement) from the Heritage Coast Centre. For information about accommodation and shops in Charmouth please see the Charmouth Village website.